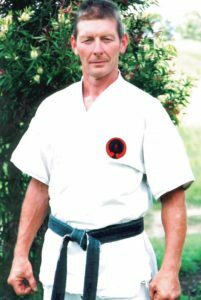 Sensei Graham Ravey was born in Chesterfield, England and is a world renowned instructor of Goju Ryu Karate Do and author. 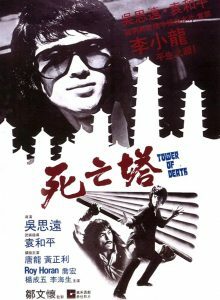 He has also appeared in film and television including the 1980’s live-action series “Photon” but Bruceploitation fans will recognise him from TOWER OF DEATH (aka Game of Death 2) in which he challenges Hwang Jang Lee’s character at the start of the movie. In this exclusive interview, Sensei Graham chats about his time on the movie. Thank you very much for agreeing to do this interview. Before we move onto Tower of Death, could you tell the visitors a little about yourself and your background in martial arts? How did you come to be involved with the movie TOWER OF DEATH? In Japan I would teach English as a part time job, but also sometimes work as an extra in Japanese movies. One day my agent rang and told me of a Kung Fu movie that came to Tokyo and needs an extra who can do martial arts. I went along to the audition. There were 4 of us trying to get the job. The action coach did 7 or 8 martial arts moves and told us to copy him. I was the only one who was a martial artist so it was easy for me to copy him. The other guys all looked big and scary but couldn’t do the moves for lack of skill. My agent rang that night and told me they liked my moves but I’m not as tough looking as the others so the producer hasn’t made his mind up yet. Another day went by and then I got a call to say the job was mine. I was only told that it was a Chinese Kung Fu movie and my scene would take 2 days to finish and it was going to be shot in the Zōjō-ji temple grounds at Roppongi in Tokyo. 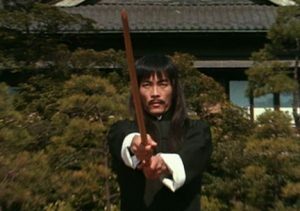 In the movie you play a challenger to Hwang Jang Lee’s character, can you tell me about when you first arrived to shoot your scene? When I arrived there all the movie crew and cast were busy filming small scenes like the beginning of the movie when Hwang Jang Lee does some movement with a Japanese bokken (wooden sword). He strikes down at a shoji door (paper door) stopping short of it by about 20cm. The air pressure from the blade traveling so fast tears the thin rice paper panels (or so it seems) bit in actual fact they poked a hole in it after taking Hwang Jang Lee’s scene with the sword then filming the broken paper door then they spliced the 2 film clips together and made it look like he tore it. How was Hwang Jang Lee like to work with? Is he as fast and powerful as he appears on screen? Hwang Jang Lee came over to me and introduced himself by saying “I am Hwang Jang Lee, the best Kung Fu fighter in China now that Bruce Lee is dead”. I found this statement quite arrogant because to say this I thought he would have had to fight everybody in China. We started filming our scenes and realised that I was supposed to make him look good on camera by me looking bad. They told me to slow my moves down a bit and gave me ridiculous facial expressions to do. I didn’t mind as I was getting paid for it. 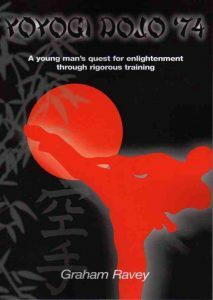 He was quite fast as most Asian martial artists are but lacked power when matched with a larger man like myself. There is a scene we do together where he jumps up in the air and kicks me twice. Once to the stomache and a roundhouse kick to the head. It took many takes to get it right but I was impressed by his circus like performance. I told him he could contact me with the kicks so it would look more realistic. He seemed surprised I said that but accepted my offer. After 5 or 6 takes I told them I was getting sore on the stomache so they gave me a piece of cardboard to put across it. All in it took around 10 takes to get that scene right. In one scene the fight coach (whose name I can’t remember) gave me a sequence with a chop in it. On the first take everything looked good until I chopped at him. In Goju Ryu Karate our chop comes in from the side so my elbow hit Hwang Jang Lee in the head as he tried to duck under the chop. He fell to the floor quite dazed for a few seconds then he was furious with me. He said “You stupid man, that is not how to do a chop. In Kung Fu we chop straight downwards! !” I apologised to him as I could see his ego was hurt but inside I thought “Well, good chop or bad chop, it would have worked in a real fight”. I did the chop how he wanted it so he could duck under my arm and all was well between us again. What are some of your other memories of shooting the movie? Sometimes I would have to sit down while Hwang Jang Lee and Kim Tai Chung did a scene together. 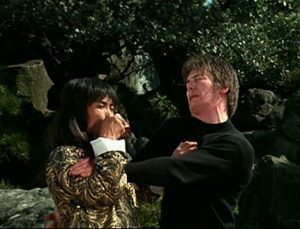 One I remember well was the scene where after drinking a cup of tea Hwang Jang Lee throws the empty cut over his shoulder and Kim Tai Chung catches it on his foot. They wanted it done in one scene and tried many times to do it. The cup would go in many directions once tossed over his shoulder and after 20 or more takes they finally gave up and shot the scene in 2 takes. Kim Tai Chung was happy because in 20 or more takes the cup had come close enough for him to attempt catching it only about 4 times but every time had bounced off his foot leaving his foot bruised and sore. He had a piece of cardboard inserted in his shoe after a while to lessen the pain a bit. In my opinion it was impossible to even try to do it in one take. Some of the crew thought so too as I could tell by the look on their faces. I felt sometimes they took a long time to finally decided what to do and didn’t always cooperate well together. Did you keep in touch with anyone after filming? I was glad when the 2 days of shooting my scenes were over. And have never kept in touch with anyone from the movie since. At the time I didn’t know Hwang Jang Lee was so famous. It’s only about 10 years ago someone told me about him. What have you been doing since this time? Since leaving Japan I have lived in Australia and taught Goju Ryu Karate Do under the banner of TOGKA (Traditional Okinawan Goju Ryu Karate Association). 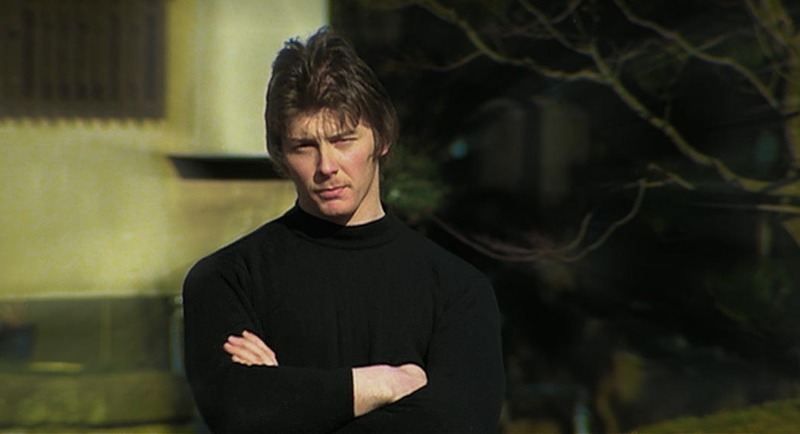 Huge thanks to Sensei Graham Ravey for taking the time to share his memories. CLICK HERE to purchase his book. TEXT: © Lee Holmes/The Clones of Bruce Lee 2018.